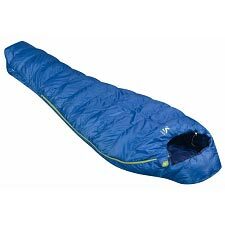 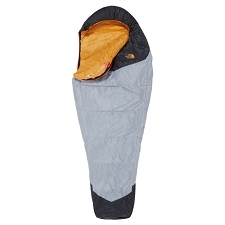 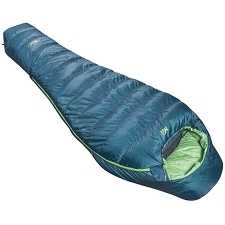 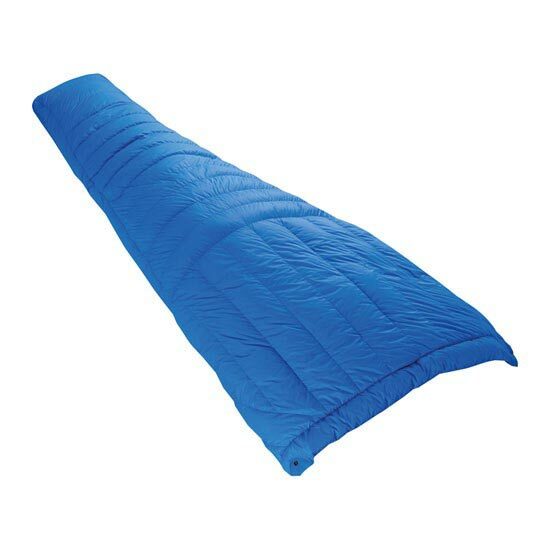 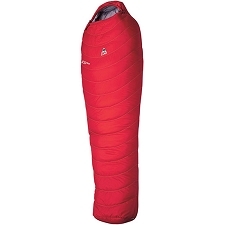 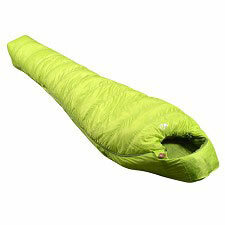 Innovative sleeping bag of the Vaude brand with down insulation and a reduced weight, a suitable design for camping stays and mountain retreats. 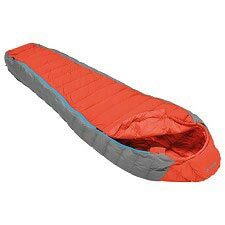 The Alpstein 200 Down model adds a design that we can use in conjunction with an inflatable mattress or use it alone as if it were a quilt. 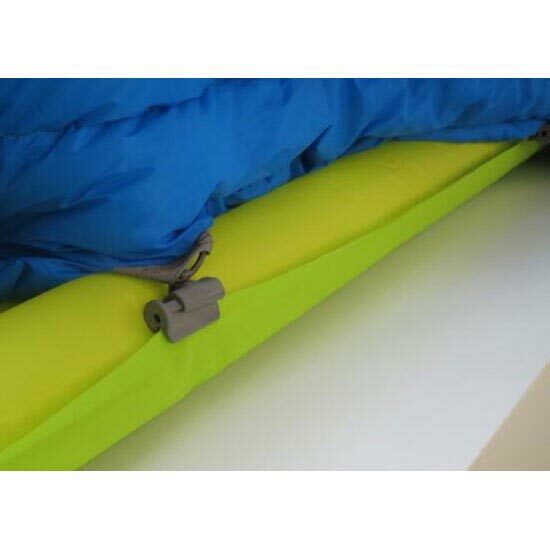 With this type of design, the insulation in the back area is achieved by means of the inflatable mattress and we will be able to fasten the sleeping bag by means of a pressure clamp on the thermo-welded edge of the mattress. 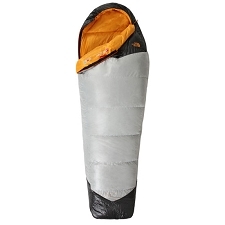 It adds top-quality 850 FP down fill and high thermal insulation power. 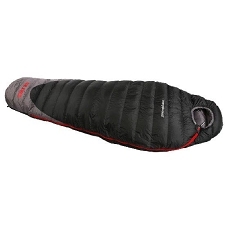 Lightweight, breathable, tear-resistant mini ripstop exterior fabric. 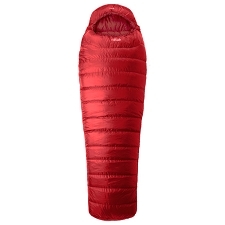 850 FP (95/5) down fill. 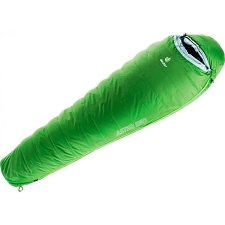 15D 420T Ripstop polymide external fabric. 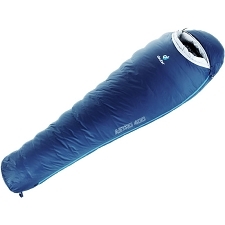 Fill amount of 200 g.
Designed to fasten to a compatible inflatable mattress. 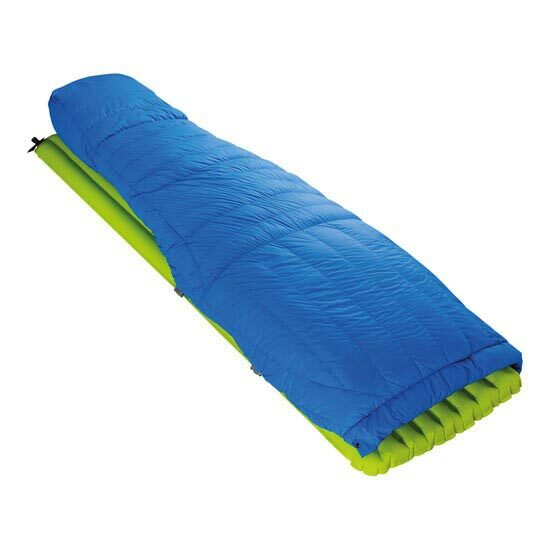 Maximum dimensions of 205 x 80 cm. 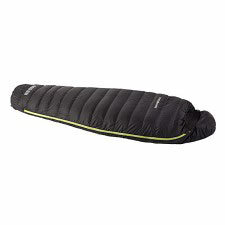 Temperature range 7°C comfort/ 2°C limit/-12°C extreme. 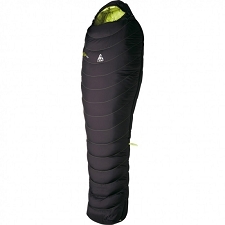 Approximate weight of 500 g.
Customer Opinions "Alpstein 200 Down"